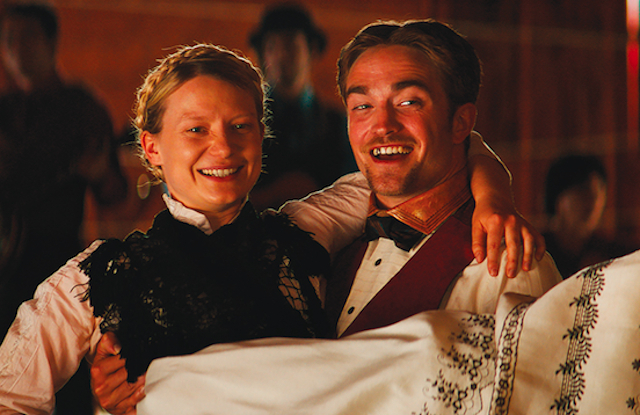 “Damsel” opens on a typical Western-style hoedown, in which Penelope (Wasikowska) and Samuel (Pattinson) seem very connected, possibly in love. The scene shifts to Samuel returning to the territory to marry Penelope, even bringing along a miniature pony named Butterscotch as a gift. Samuel meets a false preacher named Henry (David Zellner) – who took his religious persona from the Old Preacher (Robert Forster) – and recruits the fraud to officiate the marriage. The Old West being what it was, sometimes the best laid plans don’t turn out as expected, especially when there are characters like mountain man Rufus (Nathan Zellner) in the way. 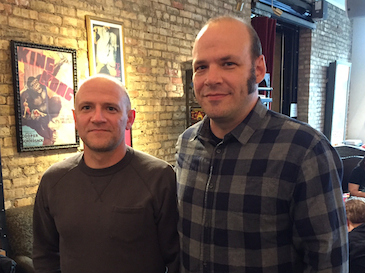 In PART ONE of a Podtalk with Patrick McDonald of HollywoodChicago.com, David and Nathan Zellner expound upon Western motifs in “Damsel,” and David explains what he expanded upon in the role of the false preacher.